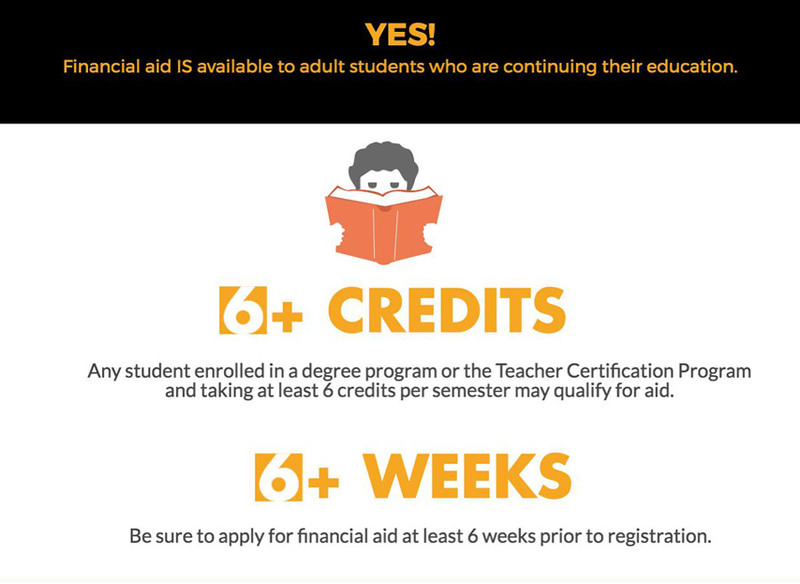 Many adult students mistakenly think they aren’t eligible for financial aid. But that is simply not the case. 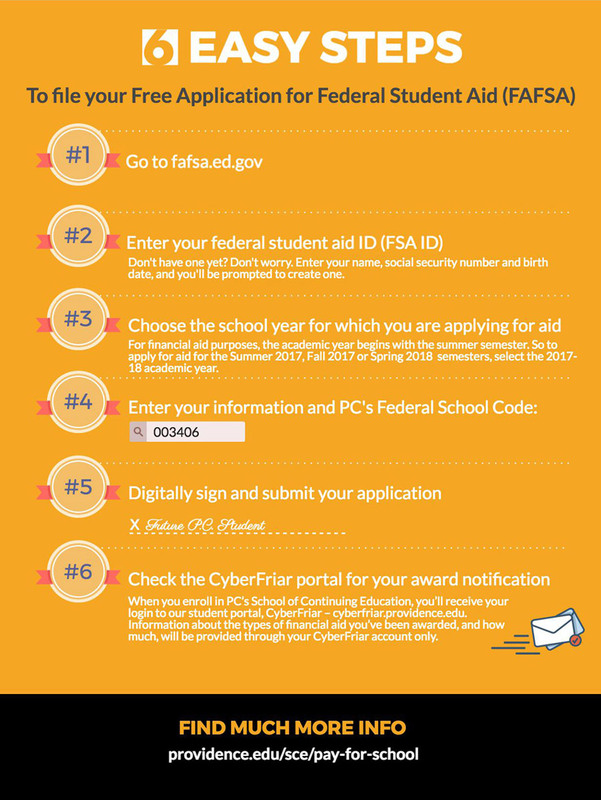 Any continuing education student who is pursuing a degree program or Teacher Certification Program and is taking at least 6 credits per semester is eligible to apply for financial aid through the Free Application for Federal Student Aid (FAFSA) online application system. It’s important to note that students should submit this application at least six weeks prior to registering for classes, to allow enough time for the application to be processed and aid to be awarded.